BB&T merchant services, (pronounced bbandt merchant services) is run by the bank of the same name. It has been in business since 1872, making them one of the oldest banks providing merchant services that we reviewed. They work with TSYS to provide key merchant services like card processing, as well as other merchant credit services. One thing that will stand out when researching BB&T Merchant Services is the fact that it’s hard to find any complaints about them. Their customer service is responsive and helpful, and their rates and fees are competitive with other merchant’s adjustment service. Additionally, BB&T provides access to some of the higher-end technologies that are shaping the way business is conducted these days, including mobile payments, ecommerce gateways, and other similar services. As a result, most customers are very pleased with B&T’s service, and most customers seem happy to let their standard 3-year contract automatically renew. In the merchant services’ industry, a lack of complaints is a solid indicator of quality service and products. BB&T Merchant service complaints that we could find are mostly lodged with the BBB, and that organization has marked all or nearly all of them as resolved. The complaints mostly centered on billing and collections issues, but BB&T contracts these tasks out, so it may not be the company itself that’s guilty of these issues. It is, however, difficult to find any complaints that specifically target the Merchant Services division of BB&T, so it is hard to tell if these complaints apply to that division or if they’re more relevant to another division. 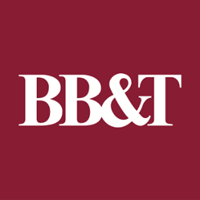 BB&T is among the best merchant services providers that we reviewed. They have a solid reputation, provide good products, and have decent reviews. There were no instances we could find of merchants wanting their cash back. Merchant services can be a difficult need to deal with, and BB&T seems to handle these problems with gusto.